want to eat something st. patty’s-ish today, but corned beef and cabbage isn’t your jam? 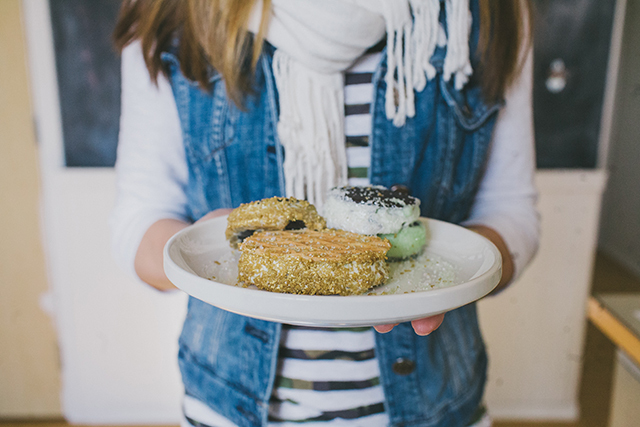 throw together these minty ice cream sandwiches to enjoy after dinner! set ice cream out to soften for about 5 minutes. press a scoop of ice cream between two wafers or cookies. roll edges in sprinkles. cover and store in freezer until your ready to eat! i don’t know about you guys but monday came way too soon for me this week, so i’m looking forward to doing and eating something yummy and festive with the kids tonight. how about you – any fun plans! ?